The need to sleep and obtain adequate rest is an essential bodily function from birth to death. Like eating and breathing, sleep is necessary for human survival. Sleep patterns evolve as one moves from infancy to childhood and into adulthood. It should be no surprise, then, that sleep parameters also evolve as the body enters the oldest decades of life. 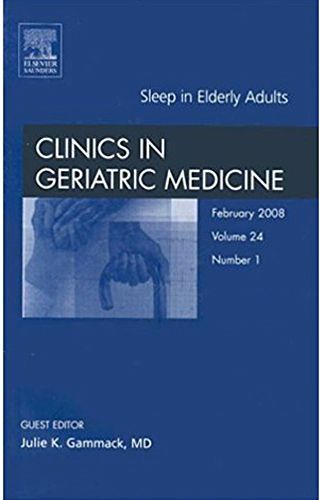 In this exciting new issue of clinics in geriatric medicine, guest edited by Julie Gammack, a leader in her field, the spectrum of sleep-related changes and disease states is discussed. Evaluation of insomnia is summarized in the context of the elderly individual. Sleep disturbances are specifically reviewed in various care settings and disease states. Finally, this issue discusses both pharmacologic and nonpharmacologic management of sleep disorders to provide a multidimensional array of treatment options for the medical provider.